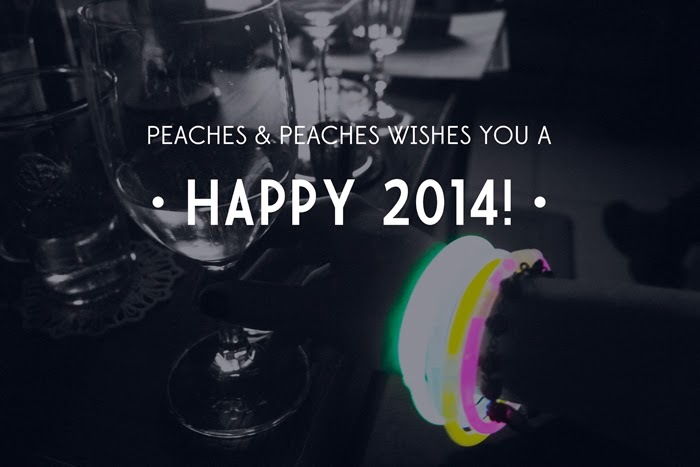 Peaches & Peaches: HAPPY 2014! How did you guys spend your New Year's Eve? I had a lovely dinner with friends, sipped cava and gin-tonic, almost won a quiz and went dancing at the oldest "disco" in town. That dancing actually didn't stop all that long ago, so that's why this is going to be a very short post just to wish you all a very happy and merry 2014! You can expect an outfitpost from me tomorrow! I'm going to indulge myself in some more food now.